The Salkantay 6 day Inca Trail Trek is an amazing alternative route to Machu Picchu. 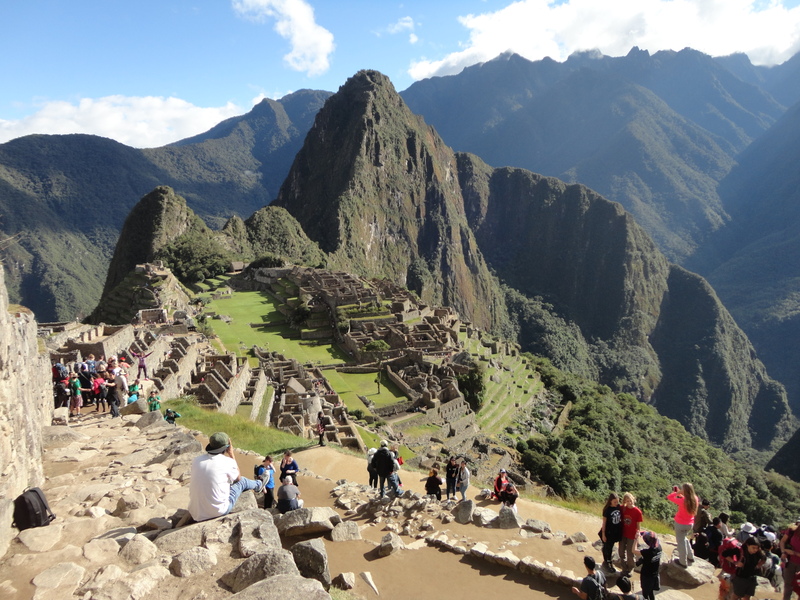 This trek is an extremely rewarding and challenging journey through the Peruvian Andes to the beautiful site of Machu Picchu. 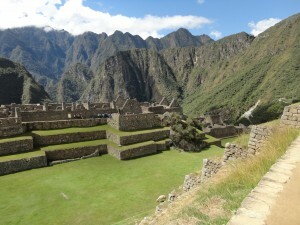 Watch our famous video below, check out our Top 10 Tips for this trek and check out our upcoming treks to Machu Picchu. We run a range of group treks and private dates each year. 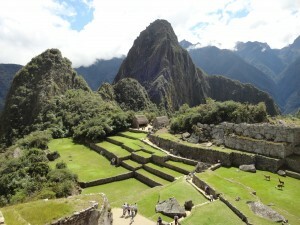 We can also design custom made adventures to Machu Picchu. 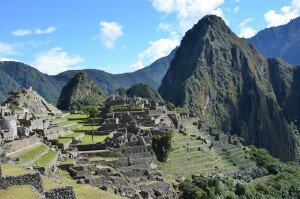 Here are 20 reasons to pick us for your Inca Trail Trek. The Salkantay 6 day Inca Trail Trek crosses a high pass at 4,600m/ 15,092 feet and around the amazing Salkantay mountain 6,271m/ 20,574 feet. 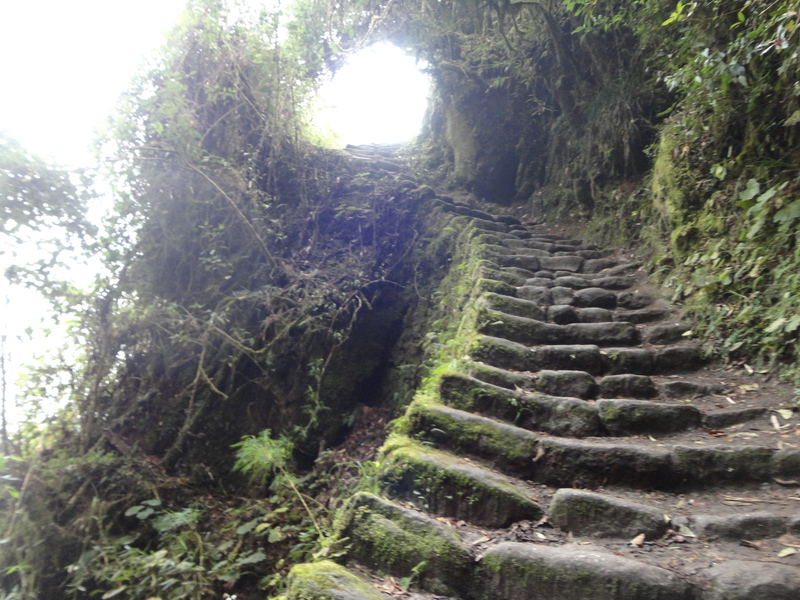 This trek then enters the traditional four day Inca Trail, there are daily restrictions on numbers of tourists allowed on the traditional 4 day and 5 day Inca Trail treks to Machu Picchu so you really need to planning a year ahead and booking 6+ months before the trek. Our Salkantay trek allows you an extra two days in the beautiful mountains trekking through local villages and towering peaks, before joining up with the famous Inca trail into Machu Picchu. 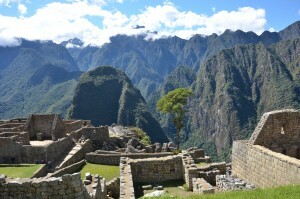 This is a unique journey trekking into Machu Picchu Check out are up coming trips. 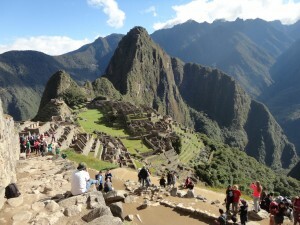 This famous adventure trek is voted as one of the top treks in the world, and with good reason. The beautiful scenery and rich cultural traditions make it one of the most enjoyable and rewarding treks you can do. Because there are no restrictions on permits for the Salkantay Trek yet, we can accommodate you and your team with minimal notice on this amazing journey of a lifetime. Read some REVIEWS from our trips and get access to the best training advice available. Mt. Salkanatay is a 6,271m/ 20,574ft peak North-West of Cusco, a two day walk to the traditional Inca Trail. This savage mountain is home to unique tropical valleys with villagers living above 4,000m/13,123ft surrounded with rare flora and fauna. If you want to fully experience the true beauty of this region of Peru, the Salkantay Trek is the way to go. 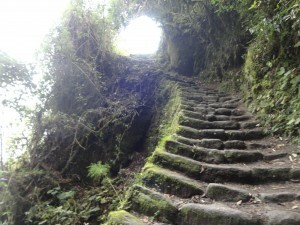 This Trek is becoming more popular and a great alternative to the traditional Inca trail to Machu Picchu. After a two day walk through the Andes, the Salkantay Trek links into the traditional Inca Trail so you won’t miss anything from the traditional Inca Trail. Here is everything you need to know about trekking to Machu Picchu. 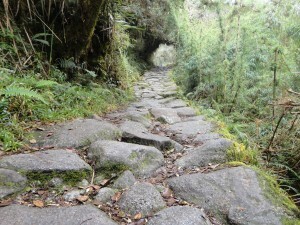 If you are looking for a more adventurous, challenging and off the beaten path trek to Machu Picchu, then this is the trek for you. 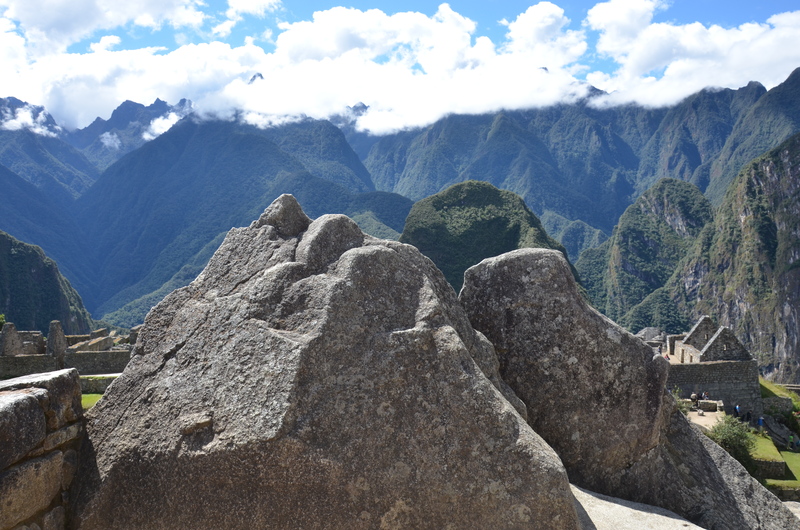 The Salkantay Trek to Machu Picchu offers an authentic more relaxing trek with mountain scenery you will never forget. We can design and customize this trek for you or your group to enjoy this incredible journey through the Andes. The cost of this trek starts from $2,850. Today you will arrive in the wondering city of Cusco where you will be picked up from the airport and transfered to your Hotel. Once settled in you will receive an introduction covering your itinerary, the city of Cusco, restaurants and all the necessary information for your journey ahead. As Cusco sits at 3,400m/ 11,155ft above sea level, and most of us will be coming from living at sea level. we recommend that you rest and keep well hydrated as you body will need to acclimatize to this altitude. You will be picked up from your hotel at 7 am in a private bus and will be driven to Mollepata at 2,850m/ 9,350ft. Along the way, we will pass through the picturesque towns of Pampa de Anta Izcuchaca, Zurite, and Ancahuasi. Our journey will take us into the Limatambo Valley, where we will see the ruins of Tarawasi, and then toward Mollepata, where we will begin our adventurous trek. 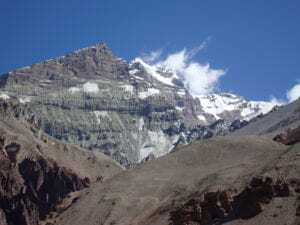 At Mollepata, we will complete the arrangements for our trek and then hike to our first camp at Soraypampa 3,900m/ 12,795ft where you will see the amazing Salkantay Mountain 6,264m/ 20,551ft. We will start trekking at 7am for a steep climb up towards Incachiriasca Pass at 4,850m/ 15,912ft the highest point of the whole trail. From here there are impressive views of the Salkantay snow covered peak. 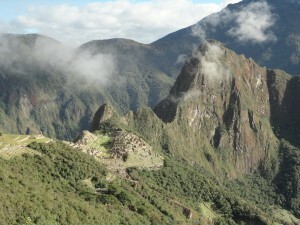 We will then descend to Yanaq’aq’a, and after Lunch we will further descend towards the Pampacahuana Community. 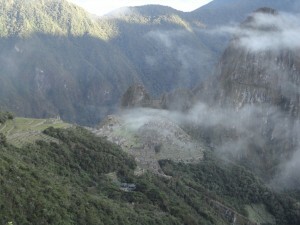 Next to the town exists an original Inca Canal, where we will set up camp for the night. This morning we will be leaving at 8am to start our downhill trek for 4 to 5 hours along the shores of the Pampacahuana River until we arrive at Wayllabamba, a farming community located at 3,100m/ 10,137ft, and where we will camp tonight. On the way down we visit Paucarcancha, an Incan archeological site. Today will be a hard day, we will slowly move up hill about 3 hours to Lluchapampa, this is a camping area and possible lunch area. From there we will trek a further 2 hours to a second mountain pass of Abra Warmihuariusca, the dead women’s pass at 4,215m/13,776ft. From here you will see Llamas and Alpacas grazing on ichu, while you are moving down the valley to Pacaymayu 3,500m/ 11,483ft where we will camp for the night. This is a great day trekking on the traditional Inca trail route, where we will visit the Runkurakay Inca site. 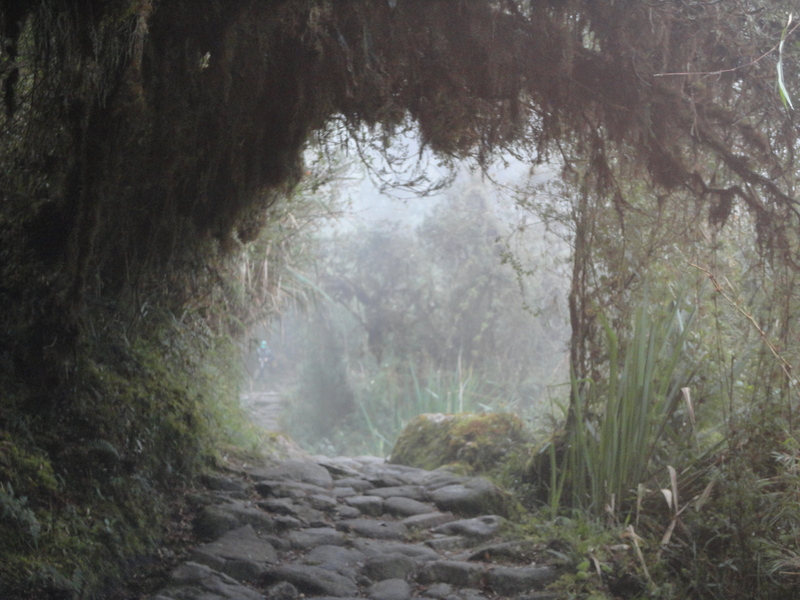 From there, we will ascend to the Runkurakay Pass at 3,950m/ 12,959ft with amazing views of the Urbamba and Vilcabamba Mountain Ranges, we will also visit the Inca sites of Sayacmarka, Phuyupatmarka and Winaywayna at 2,700m/ 8,829ft and we will camp here. We will have dinner. Tip the porters say thank you and get to bed early. After breakfast an early breakfast at 4am we will walk to Inti punku, the Sun Gate, where we hope to get our first view of Machu Picchu 2,400m/ 7,874ft. This can be a very special experience and an amazing spot to sit and take in the majesty of Machu Picchu. We will stroll down hill to the lost city and visit the most important places in Machu Picchu before taking the train back to Cusco in the afternoon for a shower and celebrations! Today, you will get picked up from your hotel and we will drive you to the airport to catch your flight back home. There are options to visit Lake Titicaca, the amazon or the famous Nasca lines. Do ask us for further details. Does this Salkantay 6 day Inca trail trek information excite you to take the next step towards achieving your goals in the mountains? If so, get in touch today. We pride ourselves on making sure that our clients have every opportunity to succeed on the mountains, including professional training advice, gear lists and video links on how to pack your bag, and much more. We are always available to answer any questions you may have by email, phone or skype, so contact us today!